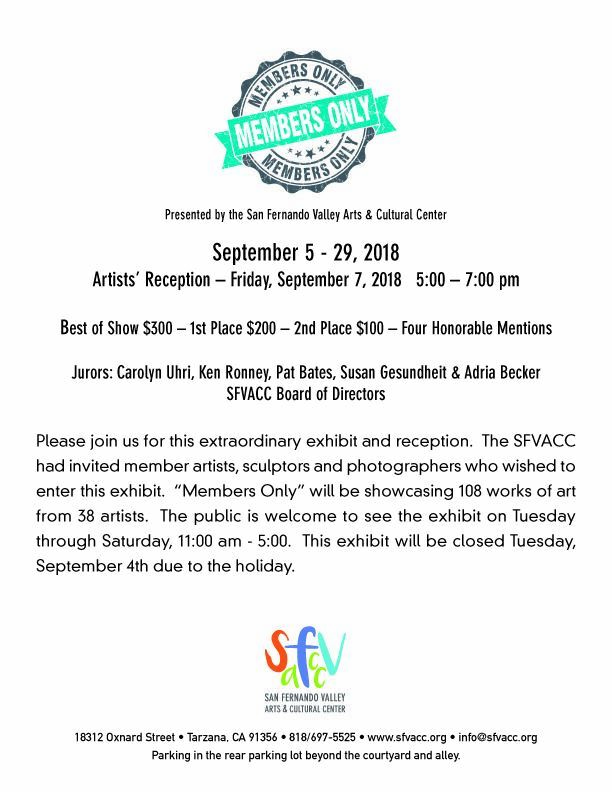 The San Fernando Valley Arts & Cultural Center (SFVACC) is pleased to present, Members Only Exhibit from September 5th - 29th at the center in Tarzana. Free event; Viewing, 11 am - 5:00 pm; Tues. - Sat. Come view 108 works from 38 member artists. 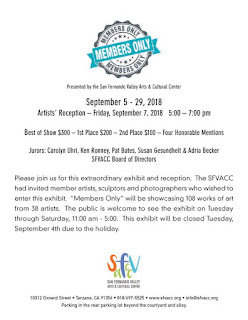 Please support local artists and the SFVACC. 18312 Oxnard St, Tarzana, CA 91356 - Take the Metro Orange line to Reseda too!